I finished The Design of Everyday Things recently, and while it does not deal directly with games, I'd still consider it a must-read for anyone interested in game design. Norman has some great insight into what makes an artifact usable and one area where games often suffer is usability, both in the gameplay itself and in the game's support systems. The downside of reading DOET is you'll start seeing bad design everywhere and those around you will likely tire of, "Gah, look how poorly designed that door is! If a door needs a 'pull' sign, it's not well designed!" One area of Norman's discussion that I found particularly applicable to games was the notion of width and depth within interactions. A wide but shallow interaction affords a small number decisions that have a lot of possibilities, but are not sequential or meaningfully connected. A narrow but deep interaction has a large number of decisions, but the possibilities for each decision are relatively constrained. The culinary analogy he provides is that buying ice cream is wide but shallow- there are a lot of options, but once you've decided on the flavour, there are only a few simpe decisions (cone, toppings) to be made. A nine course dinner is narrow but deep; at each course, there are only two or three possibilities, but there are a many sequential decisions to be made. Most of our daily decisions are either shallow or narrow, which is why most of our reactional activities are both wide and deep. Amongst games, width and depth can, and should, also be varied to affect the game's interaction. "Shallow" is often used pejoratively as a gameplay descriptor, but here, I'm using it as Norman does, to refer to the size and sequentiality of the decision space. The width and depth of an interaction are not binary states, but rather a continuum. It's important to consider both aspects of interaction, and deliberately design toward certain levels of width/depth that best support the intended experience. A game like Animal Crossing is wide but shallow. There is a lot to do in one's town, but the actions themselves are nonsequential. This allows for very freeform play that's quite accessible. Left 4 Dead is narrow but deep. At any moment there are relatively few decisions (auto shotgun or assault rifle? Heal myself or an ally? ), but each decision sequentially affects future decisions. Sins of a Solar Empire is both wide and deep, with a myriad of decisions that will directly affect the next decisions made. It's possible to look at the local gameplay and global gameplay separately. Far Cry 2 offers relatively narrow gameplay decisions at any given moment, but at a higher level the global decisions are wide and nonsequential. Most MMOs a la World of Warcraft start with a narrow and shallow local and global decision space that becomes wider and deeper. Width and depth are descriptors, not advantages. Trying to make a game seem artificially deep will often obfuscate the things about it that are most interesting and engaging. Adding unnecessary decisions to a narrow game unnecessarily will often dilute the meaning of those decisions and create a paradox of choice, where the player is more worried about the things they won't experience than the things they will as a consequence of their decision. 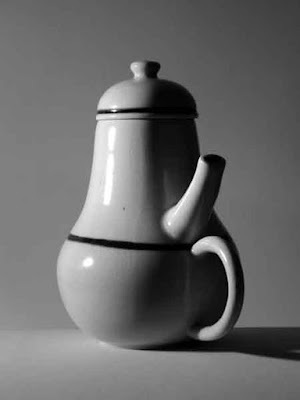 The Design of Everyday Things stresses being deliberate and conscientious about design. The width and depth of gameplay decisions should be considered carefully, their ramifications understood. Doing so can help keep the design focused and prevent wasting time on features that will only add needless complexity. Do you prefer a game to be narrow or wide? Shallow or deep? Are there other ways these characteristics can inform the way we look at games? I'm curious to hear your thoughts. I remember hearing these terms during discussions of Deus Ex and wondered where they use in a design context came from. Personally I've generally used them to describe the simulation elements of a game, or more precisely the elements the game chooses to simulate over those it chooses to ignore. The prime examples would be Deus Ex and Thief. Deus Ex is wide and shallow with a lot of elements simulated but only to the extent needed to convey their presence. Thief on the other hand is narrow and deep, with only a select few elements provided but each one simulated to a much higher fidelity. The concept of light and shadow appears in both games in Thief is is one of the major components and thus simulated to a much greater extent than it is in Deus Ex. However Deus Ex allows the player to perform a much greater range of actions than Thief does. I've heard it described as the Scalpel verses the Swiss Army Knife. While studying multimedia and games I always kept this book on hand when I was tasked with coming up with a new concept for a game. One of the concepts we developed, Contract, started off as wide and shallow. Contract was going to be an episodic game covering 48 hours of a normal mans struggle to save his girlfriend from an occult group. Our main character, Francis, had signed a contract while on the verge of death. We'd wanted our lead character to have a range of special abilities and talents which the player could choose to expand in anyway he chose. However this was at odds with the kind of character and themes we wanted to portray. WI suggested we strip out all but one aspect of his powers, fire, and incorporate a few choice abilities we felt were essential for this game. We also focussed more on the level design and the more narrow set allowed us to create deeper gameplay elements, such as the puzzles we incorporated into the game's design. My suggestion was based upon reading DOET and helped us fashion a deep and narrow game but one that suited the themetic elements we wanted. If I hadn't of read the book I don't think I would have been able to convince the others that this was the direction our game needed to be in. Even though DOET isn't tailored to game design I think a lot of what he says holds relevancy to the way games need to be designed. Where I found the width/depth discussion in DOET to be particularly interesting was in regards to interfaces. If I recall, the examples were of the space shuttle cockpit (a wide, shallow interface, with a million buttons of one function each), and an office phone (narrrow and deep, 12 buttons with hundreds of functions buried in them). This always forces itself to the front of my mind when thinking about interfaces. In regards to both interfaces and mechanics, it's worth noting how useful this width/depth thinking is both for design, and diagnosis. This is one of those conceptual tools that really has practical, real-world use, and all across a project too. Also, the thing about the doors is so true; every time I'm at Central Library those big doors get me, and I think "Don would be disappointed!" @CrashT Different application of the same concept, yeah. And similarly, I think it's important to be very deliberate about these decisions. Far too often developers get carried away giving fidelity to something that, at the end of the day, really isn't that important. @Warwick Interesting to how you all were able to apply those principles successfully. It's definitely been my experience on similar smaller scale projects that it's much better to do one or two things well than a handful of things poorly. @Graham The presentation of complexity is definitely an important thing to pay a lot of heed to. Nobody expects a space shuttle or nuclear reactor to be simple, but hiding a bunch of functionality in an ostensibly obvious device like a phone causes the user a lot of problems. Communicating complexity and expectations is something games still struggle far too often.